ChannelTides takes the hard work and error out of plotting a course for a long crossing with strong cross tides, for example on a trip from the Solent to Cherbourg. The most efficient way to cross is to set a constant heading and let the tide move you sideways, particularly for trips where the tide changes during the journey. 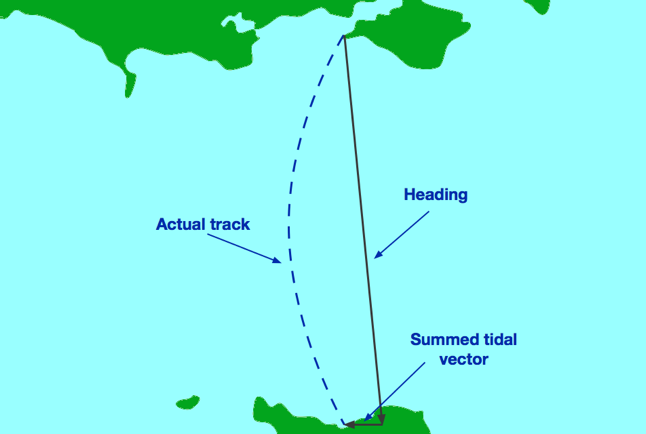 However, this requires a detailed and error prone calculation based on projected boat speed, which in turn is dependent on predicted wind speed and angle, both of which can change during the crossing. ChannelTides continuously calculates the optimum heading based on the latest boat position and the current wind prediction to ensure the most efficient route.